Bleach washing is an easy, effective, hair-friendly way to lift your colour and achieve a lighter colour result. 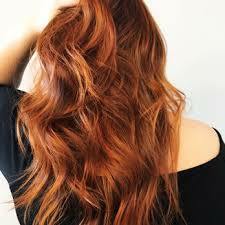 If you want to lighten your hair, your options are generally limited to colour removal products or bleaching processes. Colour removal products will not lighten your hair, but they will lift out permanent colour pigments, although you may need to repeat this process several times to get the lift you want. Colour removal products won’t lighten your hair beyond its natural colour level. If you want to either lift out stubborn darker colour pigments or colour build-up or lighten your hair beyond its natural colour level then you will need to use a bleach process. Bleach is the only product which will significantly lighten your hair and which will completely lift and lighten when hair has been coloured with darker permanent colours. Regular bleach applications involve mixing bleach with developer and applying it directly to dry hair. This is very effective, but it also quite an aggressive process which can be quite damaging to your hair. We certainly don’t advise that you do this more than once every year or so, because it will corrode the hair cuticle leaving it more porous and prone to breakage. It’s basically the nuclear solution, and should be approached very conservatively, but nuclear does get things done occasionally. A great middle option is bleach washing. Bleach washing, or bleach bathing, is a gentler way to approach bleaching your hair. 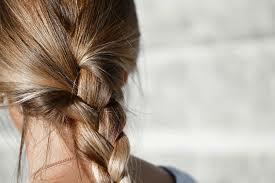 A bleach wash is a bleach mixture which is then blended with shampoo and applied to wet hair. Often it is used with a lower strength developer, such as a 10 or 20 vol developer, unlike regular bleach processes which can use a much stronger (and more damaging) 30 vol developer. Bleach washing your hair is a milder option which will lift out unwanted darker permanent colour pigment, stubborn colour build-up or lighten your hair 1-2 levels lighter than your natural colour level, without causing irreparable long-term damage to your hair. Bleach washing is easy to apply and gives you an even colour result which provides a good base for recolouring or toning your hair. As usual, it is best to avoid washing your hair for at least 2 days before using a developer or bleach product as your natural oils help to protect your scalp and hair from damage. To bleach bath your hair you need a bleach product and either a 10 vol or 20 vol developer (the higher the number the stronger the developer). We can provide an additional sachet of our 20 vol developer for $2.95 to be included in your next colour kit which you can use for bleach washing. Follow the instructions and mix the bleach in the correct ratio according to the manufacturers instructions. Generally you would be mixing 1 part bleach with 1.5 parts developer. To this mixture you add the same quantity of shampoo as the quantity of bleach you used. Wet your hair and towel dry it before applying your bleach bath mix. Start applying the bleach wash mixture to the ends and lengths of your hair first, as they will have the most colour pigments and build-up if you have been colouring regularly. The shampoo blend will spread evenly and consistently through your wet hair, giving you a manageable application process. Make sure you are wearing front-opening old clothes or a robe, or have an old towel on your shoulders to protect your clothes from any drips. Leave the mixture in for 20-30 minutes, depending on the colour result you are looking to achieve. Wash it out in the shower, then shampoo and condition your hair as usual. This is a great time to use a leave-in conditioner, as your hair always needs a little TLC after any process, so pop in a deep conditioner for at least ten minutes to restore moisture to your hard-working locks. 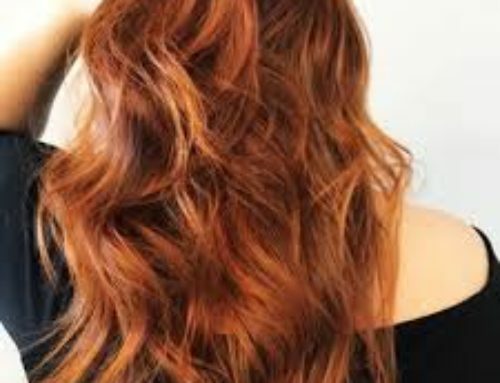 Leave your hair for at least 2 days if possible before recolouring, and you are now free to colour with a lighter colour option, as your hairs base colour level should be at least 1-2 levels lighter.